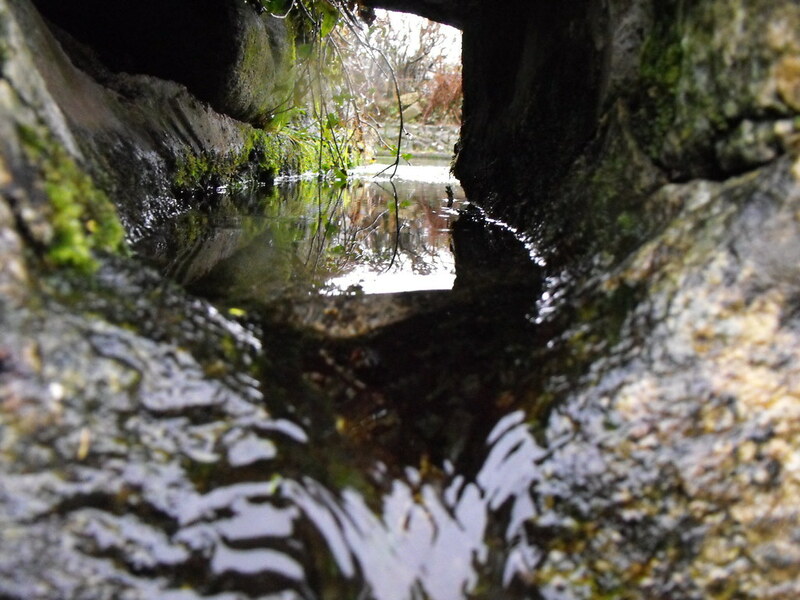 The Standing Stone: St. Mullin's Holy Well, St. Mullin's, Co. Carlow. 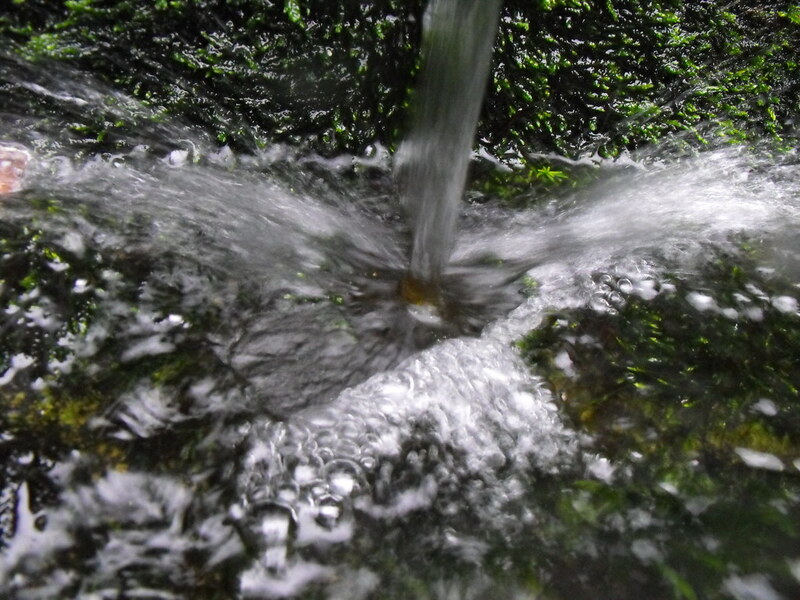 St. Mullin's Holy Well, St. Mullin's, Co. Carlow. 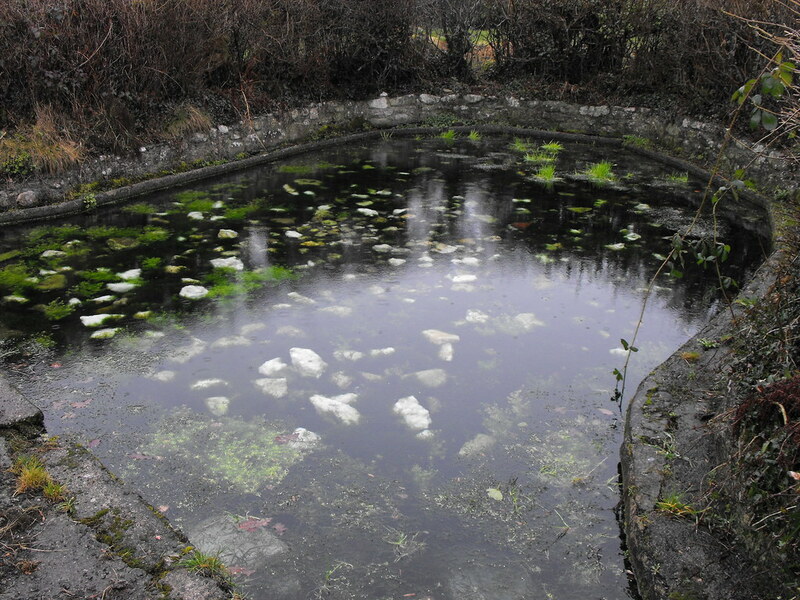 Location – A short distance away from the main complex next to a row of abandoned and ruined houses. 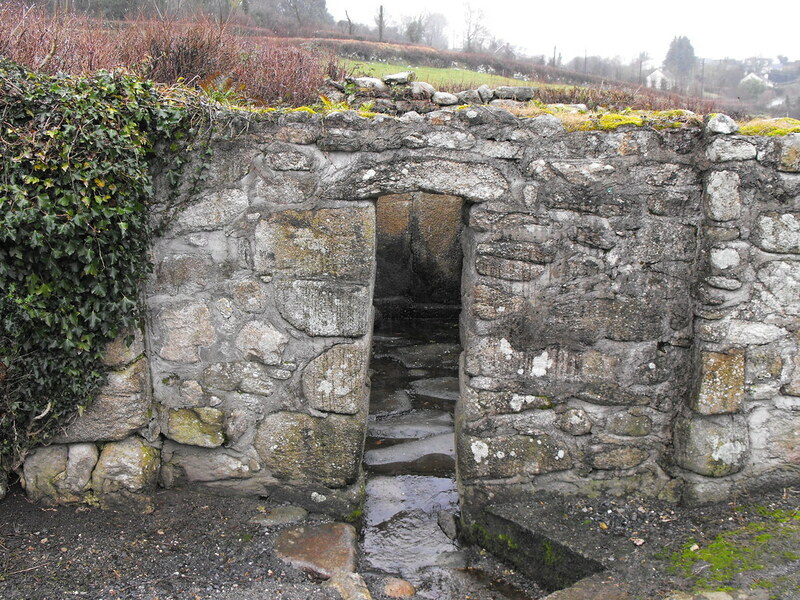 It is across the river that runs behind the site to the E.
Description and History – This is the most fantastic holy well that I’ve visited so far. I want to revisit this site as I am very disappointed with the pictures I took on that day. 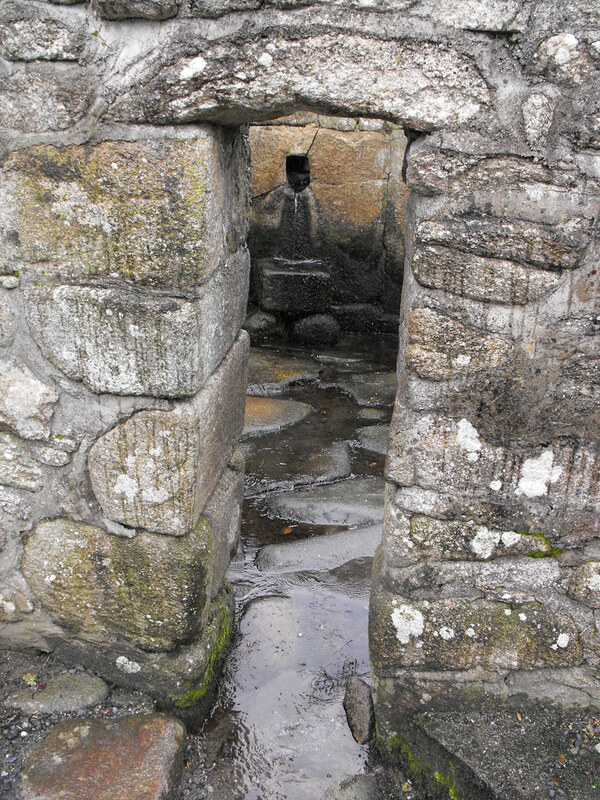 The well is in a small stone structure and is fed from an unusual reservoir to the rear which contains a lot of quartz stone. 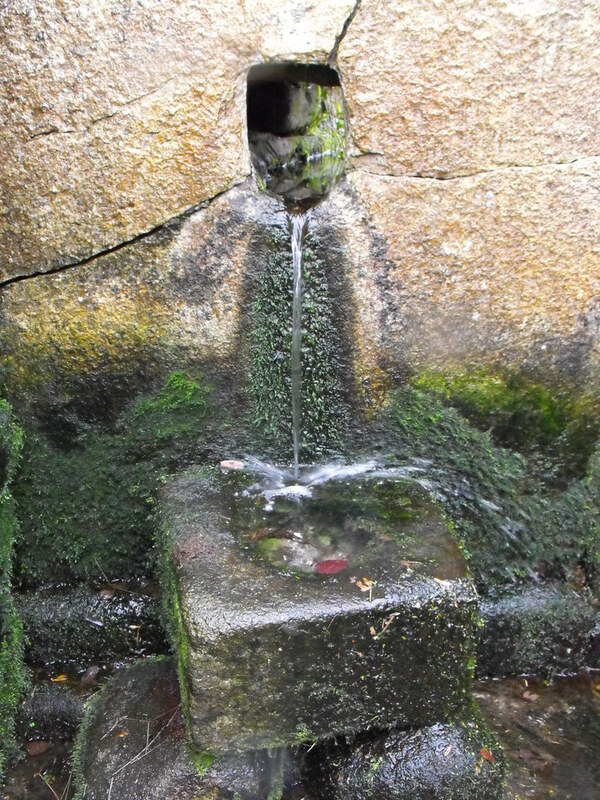 The water runs through two outlets (only one functioning) cut into large sand coloured stones. The left inlet runs into a small font like stone and then onto the ground when it zig-zags its way out of the entrance which is very narrow. It is a beautiful structure and a pleasure to visit. 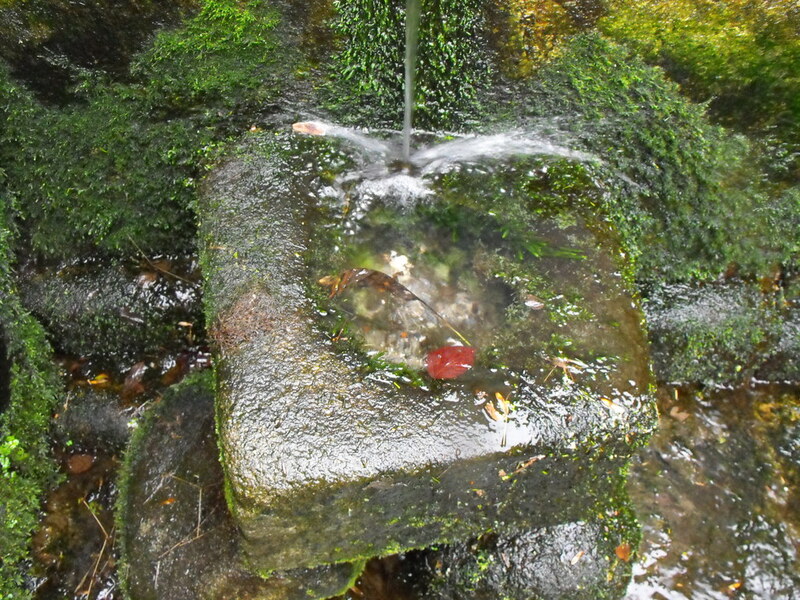 Difficulty – Easy to find but it can be very slippery inside the well house. The front of the well-house. The entrance is very narrow. Looking through the entrance to the functioning outlet. The reservoir that feeds the inlets. Note the large chunks of quartz at the bottom. 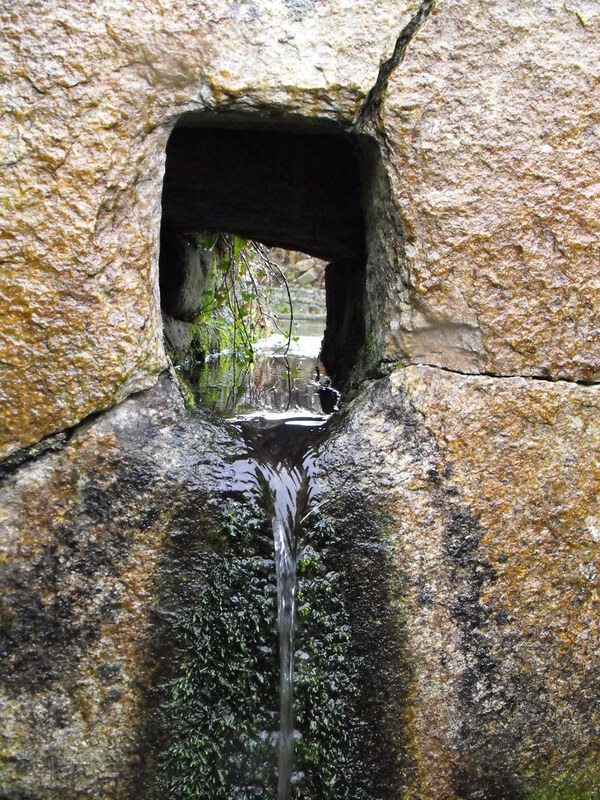 The functioning inlet which pours into a little basin. 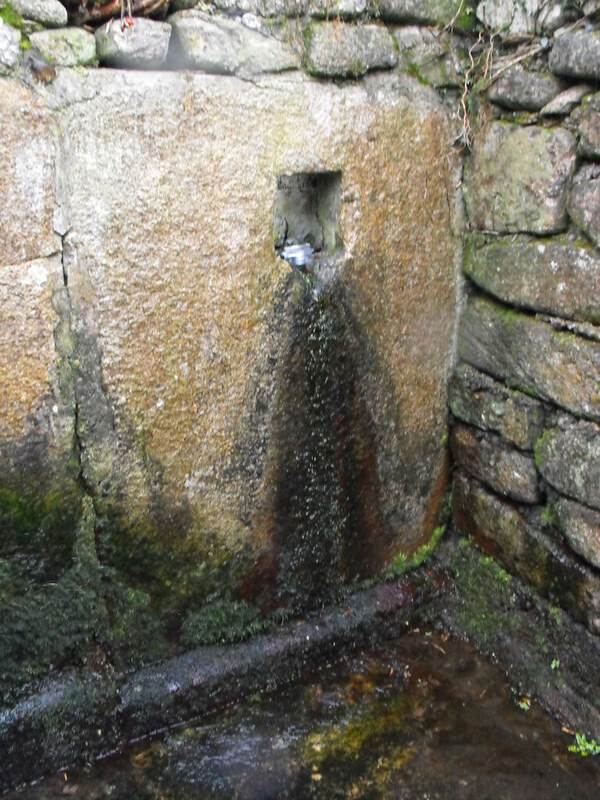 The non-functioning inlet. It doesn't look like it has been blocked for long.